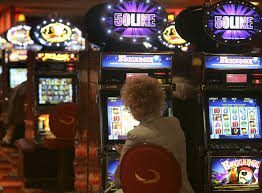 Slots deposit by mobile has been interpreted to be much safer than the traditional way of depositing money. Players can also get the rewards that they have earned on online casino sites through their mobile phones in the form of credits like SMS credits. Awesome Range Of Mobile Slots To Choose From Slots Deposit By Mobile - Login Now! Made by Microgaming and present on slot machine sites like Pound Slots, Rhyming Reels Jack and Jill 96 is a 20 payline online slot machine game. The minimum amount of coins that need to be deposited by a player in order to play this game is 0.01 coins while the maximum coins required is 0.1 coins. Since the coin deposition is so low many players opt to play this game. The Jackpot of the game is 15000 coins. The Return to Player rating of the game is 96.41% as stated by the players and have a number of features that are relating to the nursery rhyme of Jack and Jill. The maximum coins that a player can receive as a rewarding playing per line of the game are 10 coins while the minimum wins is 1 coin. Slots deposit by mobile is one of the ways in which a player can invest their money into the game and play different slot machine games. Like all slot machine games, there are a number of symbols and special symbols of the game. The symbols of the game also help in increasing the bet of a player while the special symbols are the ones that trigger the bonus features of the game. Rhyming Reels Jack and Jill have a wild symbol that can multiply the bet of a player to two times the original value that they invested in the game. The wild symbol is substituted for the highest paying symbol of the game and helps in creating a winning combination for the benefit of the player. With the wild symbol, a player can win ten times what they have invested. Three more bucket symbols of the game trigger the bonus free spins feature of the game. Players are awarded fifteen free spins. All the wins during the free spins round are multiplied by four times. If five jack symbols appear on the reels of Rhyming Reels Jack and Jill at the same time, the Jackpot of the game is triggered and won. Sign up to play the best UK slots and table games online at Pound Slots and enjoy a multitude of different benefits. Not only can you play the best new online slots for free in demo mode, but also enjoy sensational bonuses and promotions if you deposit to play for real money. Note, however, that slots deposit by mobile payments doesn’t usually qualify for deposit match or cash back bonuses. Players wishing to benefits from bonuses are advised to check out our alternative deposit options. Gamble responsibly and make sure to read the bonus terms and conditions before opting in to receive them, and remember the first rule of gambling online: Have fun!